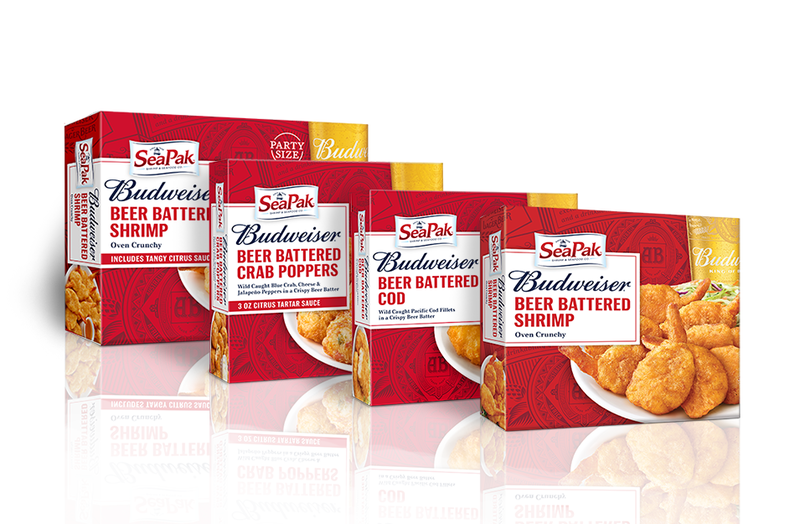 SeaPak Partners with Anheuser-Busch to Launch Budweiser Beer Battered Seafood Line. New York — January 24, 2019 – SeaPak Shrimp & Seafood Company has partnered with Anheuser Busch-Inbev’s Budweiser to launch a new frozen beer battered Seafood range. Broad Street Licensing Group (SeaPak) and CAA-GBG (Budweiser) jointly brokered the deal. SeaPak, known for their high quality, sustainable seafood, and finest ingredients, created the new beer battered seafood line with Budweiser for an exceptional taste experience. The line will include Budweiser’s signature lager beer expertly crafted into each product and will include Budweiser’s signature script, bow-tie and label on the packaging. The new products include Budweiser Beer Battered Oven Crunchy Shrimp with tangy citrus dipping sauce, Budweiser Beer Battered Wild Caught Cod, and Budweiser Beer Battered Crab Poppers with a citrus tartar dipping sauce. SeaPak Executive Chefs, in conjunction with Budweiser Brewmasters, perfected the beer battered seafood line, assuring consumers that their experience will be the best it can be. 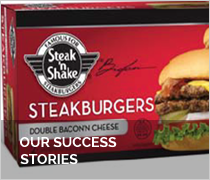 The SeaPak and Budweiser Seafood line is available in the seafood freezer section at Walmart, Kroger, and other regional retailers around the United States and will also be featured in Sam’s club starting in March 2019.